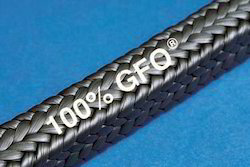 Exporter of a wide range of products which include packing ptfe yarn rope, ptfe graphite packing and ptfe packing. 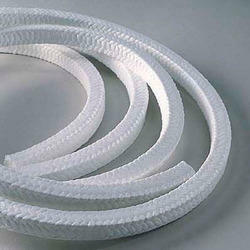 We are among the trusted names in the industry for supplying and wholesaling Packing PTFE Yarn. The offered yarn is extensively demanded in chemical and pharmaceutical industries for packing valves and offers ultimate solutions. This yarn is fabricated in a sophisticated manufacturing facility loaded with innovative machines. Our organization is among the acclaimed names in the industry for supplying and retailing PTFE Graphite Packing. The offered packing is used in pumps and valves of chemical, mining and textile industries. This packing has been procured from a reliable vendor base for maintaining the industry standards. It is resistant to chemicals and high temperature as well. 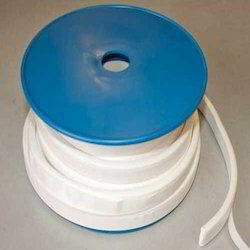 We have set a benchmark in the industry for supplying and trading PTFE Packing. The offered packing is effective in providing insulation to valves in chemical, pharmaceutical and mining industries. This packing is made from high-grade materials and is extensively demanded owing to its high tensile strength, resistance towards wear & tear and thermal stability.